This plan sets forth the policies and procedures for the relocation on campus of full-time, non-visiting academic professional employees who are released from positions due to the lack of funds. The employee must request assistance to be relocated. From time to time, academic professional employees are released from positions for budgetary or programmatic reasons, and occasionally these are employees with many years of service. In many instances, it would be to the University’s advantage to keep these individuals within the system and to continue to draw upon their expertise and knowledge. Therefore, the following plan is designed to aid in the relocation of these employees. Full-time, non-visiting academic professional employees with one or more years of full-time non-visiting service to the University on the Urbana-Champaign campus will be considered for relocation with the campus as specified below if they are being released from their current positions due to lack of funds or programmatic reasons. The employee being released from a position must make a request to the Office of Academic Human Resources that he/she be considered for another position within the campus. At the same time, the employee must submit a complete resume of experience, and the employee’s immediate supervisor and unit head must certify that the employee is being released from his/her current position for budgetary or programmatic reasons. Position vacancies are listed in the Job Registry Notebook, which is available in the Academic Human Resources Office, Suite 420, 807 South Wright Street. Vacancies also appear in the Employment Center. The employee must meet the qualifications for the position as advertised and must notify the Office of Academic Human Resources before the application deadline if he/she is interested in interviewing for a particular position listed in the registry. 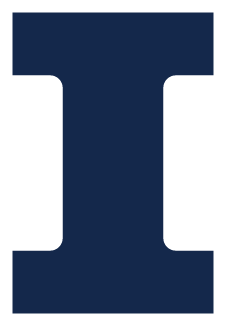 If an academic professional employee with more than five years of continuous full-time, non-visiting service to Urbana-Champaign wishes to be considered for a position, the person(s) conducting the search will be notified in writing by the office of Academic Human Resources that the employee is being released from his/her current position for budgetary or programmatic reasons and wishes to interview for the job as advertised. The individual(s) conducting the search will be required to interview the employee and will be asked to give full consideration to the employee’s application. At the time the letter is sent, a copy of the employee’s resume will also be submitted. When positions are to be filled utilizing a search committee which does not do the interviewing, the committee will submit the employee’s credentials, along with the information that the employee is required to be interviewed due to his/her relocation status, to the person who will interview and make the final decision to hire. The search committee should remind the hiring officer of the reason for the required interview. (It should be stressed that, while it is mandatory that the employee be interviewed, it is not a requirement that the employee be hired. The University’s policy of hiring the best-qualified individual will continue to apply.) The employee will then be notified in writing by the Office of Academic Human Resources that he/she is to contact the appropriate person to set up a time to be interviewed and will be reminded that the interview does not guarantee employment. Should the employee be hired, it is his/her responsibility to withdraw his/her name from the Relocation File in Suite 420, 807 South Wright Street. The employee’s name will be kept on file, and the employee will be referred to jobs, at their request, for one calendar year from the date of notification of termination. In unusual circumstances and upon special request and approval, the employee’s name may be kept on file for a longer period of time. A unit with a vacant academic professional position may wish to check the Relocation File to see if there are any qualified individuals available for the position. Should a unit interview and decide to hire an individual listed in the Relocation File, a full affirmative action search will not be required since the unit would be hiring an individual who is being or has been terminated for budgetary or programmatic reasons.